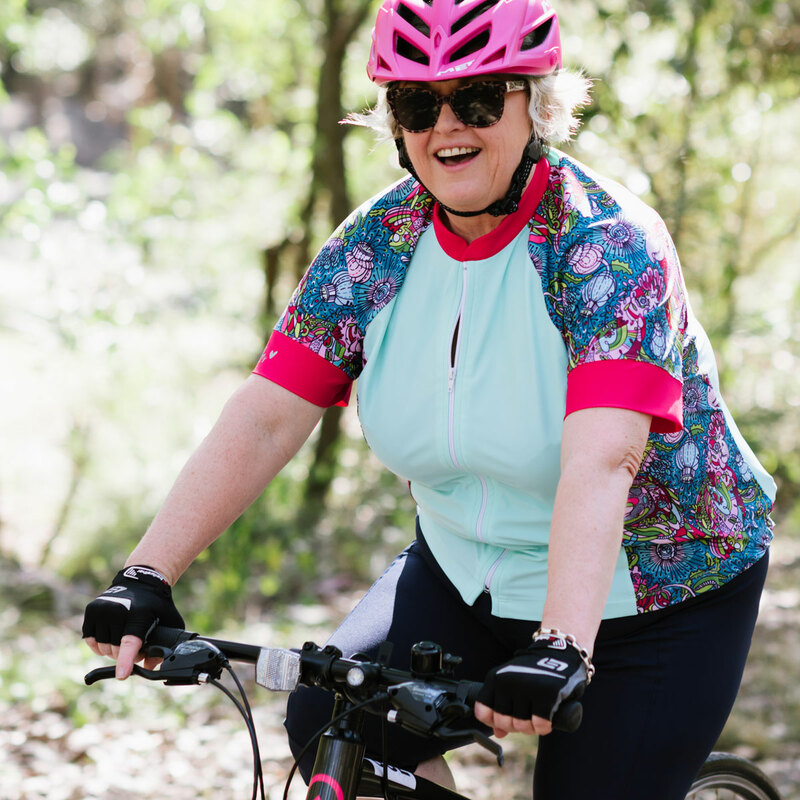 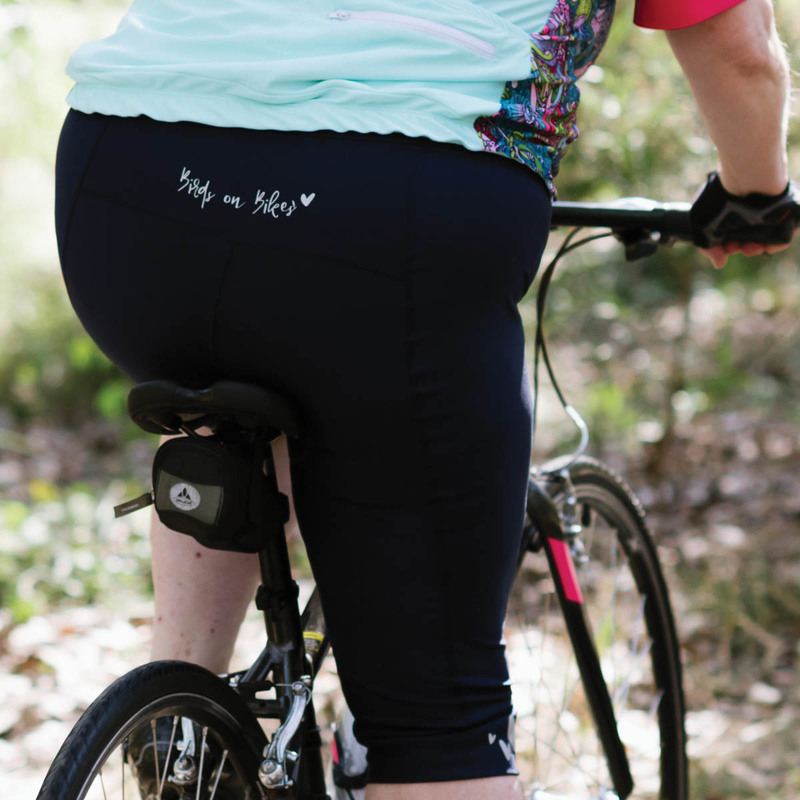 Designed especially with the 'average' and plus sizes in mind, our Birds on Bikes Knicks combine superb fit, styling and performance. 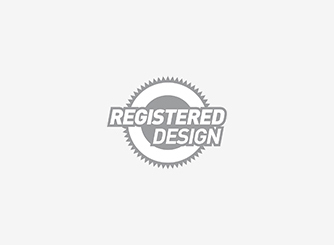 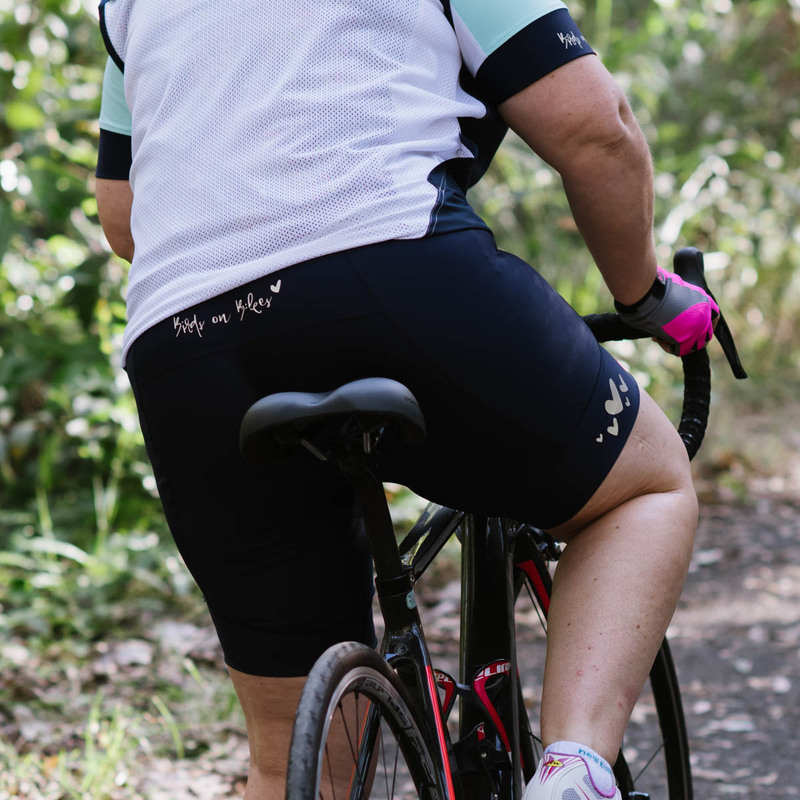 A perfect match to the Birds on Bikes jersey but excellent on any occasion, the Birds on Bikes Knicks are anatomically cut with a smooth inner leg seam and light compression to reduce muscle strain. 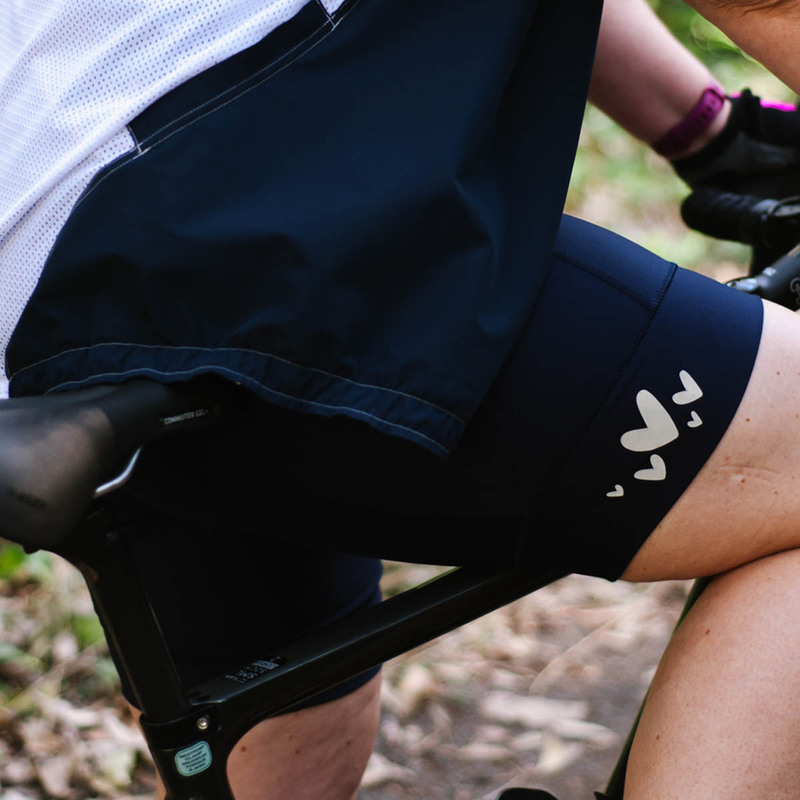 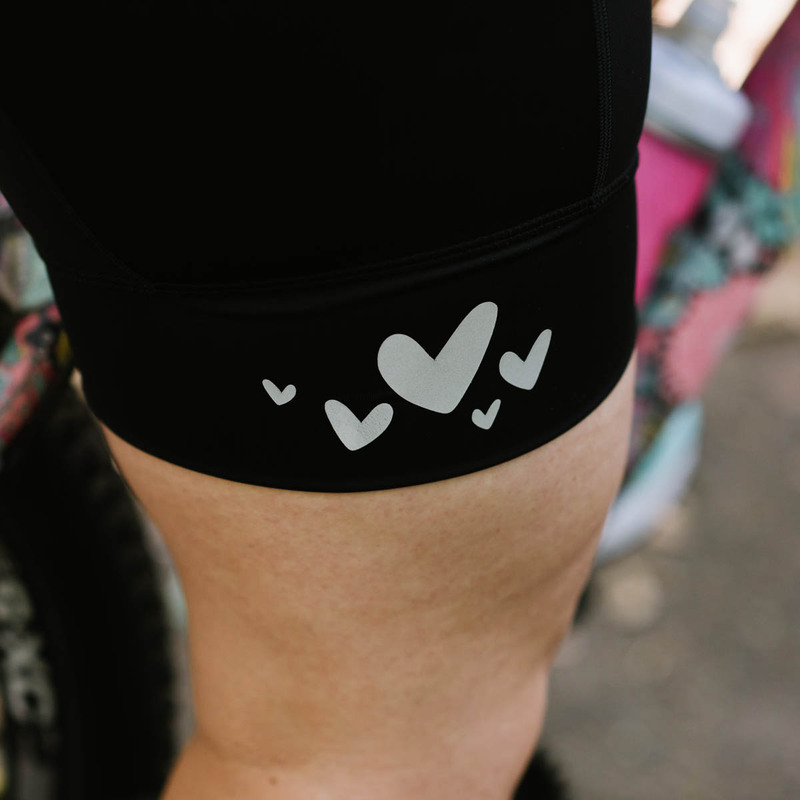 The wide leg bands, with reflective hearts to make sure you stand out on the ride, are very smooth and comfortable and the waist is on the high side so it stays in place and feels invisible once you start riding. 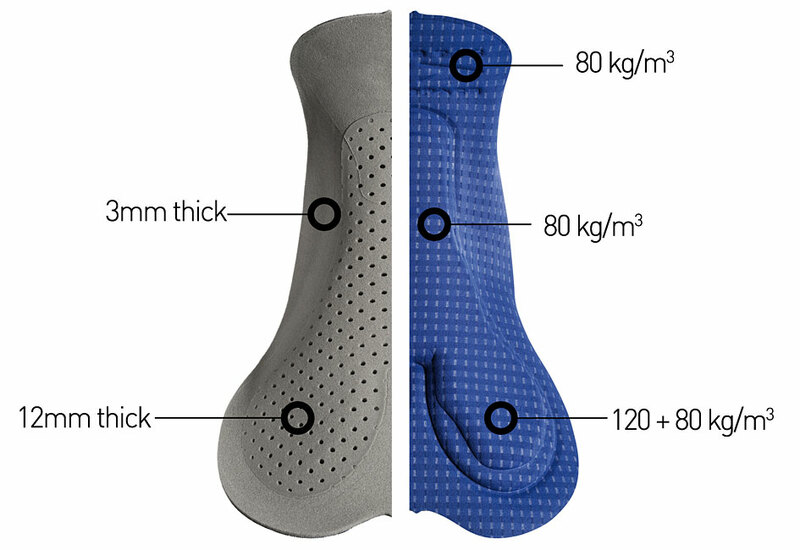 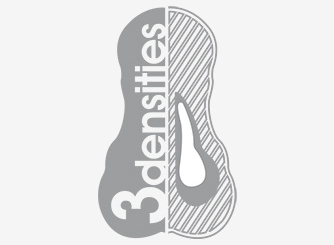 Our Elastic Interface Liège HP women's pad guarantees superior protection during long-distance rides thanks to the very high density perineal and Ischiatic foam inserts.